Today, we're announcing an exciting new partnership between Futuremark and Elkjøp Nordic, one the largest consumer electronics retailers in Northern Europe. For the important back-to-school sales period now underway, Elkjøp is using Futuremark benchmark scores to make it easier for people to choose and buy the perfect PC, whether online or in one of its stores. Elkjøp, part of the Dixons Carphone group, is one of the largest consumer electronics retailers in the Nordic region with 400 stores in six countries. Trading as Elgiganten in Sweden and Denmark, Gigantti in Finland, and Elko in Iceland, Elkjøp sells a wide range of consumer electronics and household appliances through its online stores and retail locations. Elkjøp knows that choosing a new computer is difficult. Many people struggle to relate PC specifications to real-world performance. This can leave less knowledgeable customers feeling confused and uncertain. Others buy cheaper laptops and notebooks without understanding how the low performance of these systems will affect their everyday use and enjoyment. "Our mission at Elkjøp is to give our customers good value for money and a simple, enjoyable shopping experience. Buying a PC is daunting for many people. With Futuremark's help, we are aiming to make it easier than ever." We worked with Elkjøp to create and define a set of computer categories with clear and helpful names. These categories - Basic, Home, Produce, and Create - describe the capabilities of a system rather than its specifications. For example, PCs in the Basic category are suitable for social media, email, online shopping, and surfing the web. PCs in the Create category are more powerful and are capable of working fluidly with large media files for photo editing, graphic design, video production, and making music. Every PC, notebook, and laptop sold by Elkjøp has been thoroughly tested in our dedicated lab. We use a range of benchmarks to produce complete data on all aspects of performance from everyday web browsing and personal productivity, to how well a system handles the latest games and virtual reality experiences. The PCMark 10 benchmark score determines which category each PC belongs to. For gaming PCs, the 3DMark score indicates graphics performance and VRMark shows the systems that are VR-ready. Comparing PCs is as easy as comparing numbers. The higher the benchmark score, the better the performance. 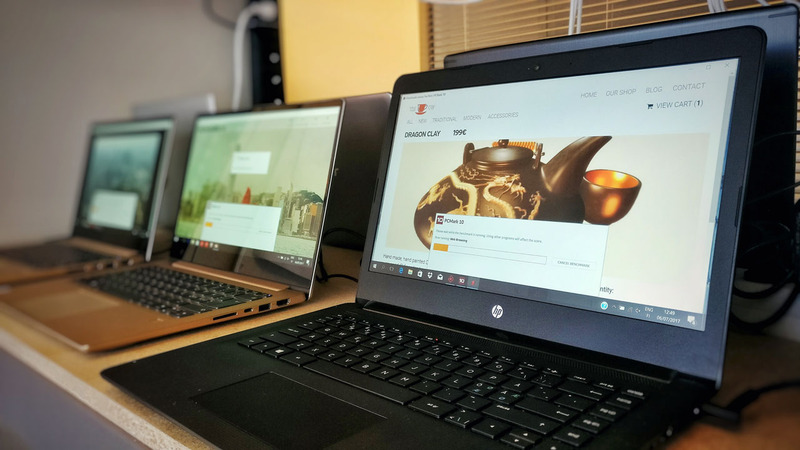 Elkjøp is using categories and benchmark scores to make it easier for its customers to choose and buy the perfect PC. You can find them on its website, on its point-of-sale material in store, and in its advertising and promotions across the Nordic region. For more information on our retail solutions and our partnership with Elkjøp, please visit our new UL website at benchmarks.UL.com.